As reported about a month ago, longtime Supreme Court Justice John Paul Stevens will be soon retiring. This retirment gives President Obama his second opportunity to select a justice for the high court. His first appointment was newest Justice Sonia Sotomayor, and the second proves to be just as smart of a selection. Solicitor General Elena Kagan is Obama's Supreme Court choice and former fellow faculty member, when the 2 taught at the University of Chicago Law School. Kagan has worked in both academic capacities as well as government, serving as Vice President Biden's Chief Counsel when he was a Senator, and even as the first female dean of Harvard Law school. 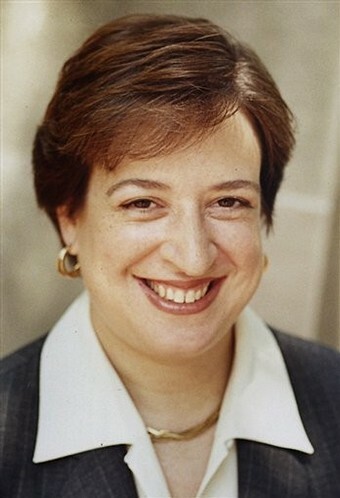 When speaking about Kagan, Obama said, "While we can't presume to replace Justice Stevens' wisdom or experience, I have selected a nominee who I believe embodies that same excellence, independence, integrity and passion for the law, and who can ultimately provide that same kind of leadership on the court: our solicitor general, and my friend, Elena Kagan." The next step is getting the Senate's approval for the appointment. With so much freshness and diversity on the court, our judiciary system is definitely headed in a great direction.